Now you can enjoy Koyo Ramen with reduced sodium. We've taken the same Ramen noodles made form expertly crafted, fresh milled, organically grown heirloom wheat, and added it to our savory broth, which contains only pure, all-natural ingredients with no preservatives. 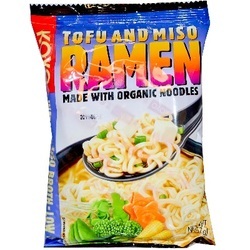 The result is our delicious combination of silky noodles and flavorful reduced sodium broth that will be sure to satisfy even the most sophisticated taste buds.